Product prices and availability are accurate as of 2019-04-19 10:46:29 EDT and are subject to change. Any price and availability information displayed on http://www.amazon.com/ at the time of purchase will apply to the purchase of this product. 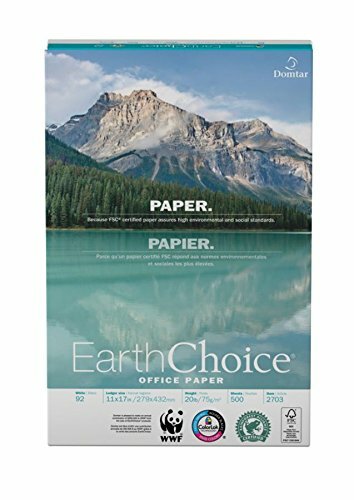 Domtar Earth choice office paper is 92 US/104 Euro Bright, made with ColorLok technology, so you can produce bright colors and crisp text from your home or office printer. The paper is certified by the Rainforest Alliance, so you can minimize your ecological impact. 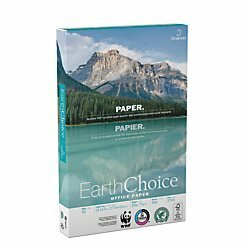 Crisp Prints: The Domtar Earth choice office paper is made with Colorlok technology, which allows you to produce crisp colors in printers, fax machines or copiers. Plus, it's acid free, so it will remain clean and white over time. 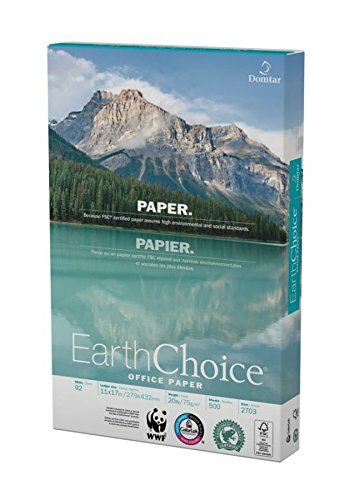 Environmentally Responsible: Domtar Earth choice office paper is certified by the Rainforest Alliance and the FSC. With your purchase, you are supporting environmentally responsible timber harvesting.